Children love singing and cheering, and rooting for their school. Every March our school has a giant pep rally. We parade with pom-poms, sing our school song, holler chants, and wear school clothing. It is so much fun! “G-C-S Is-The-Best” is the children’s favorite chant. Isn’t spirit something we all need? It fills us up. We feel good. School spirit gives us pride and unity. 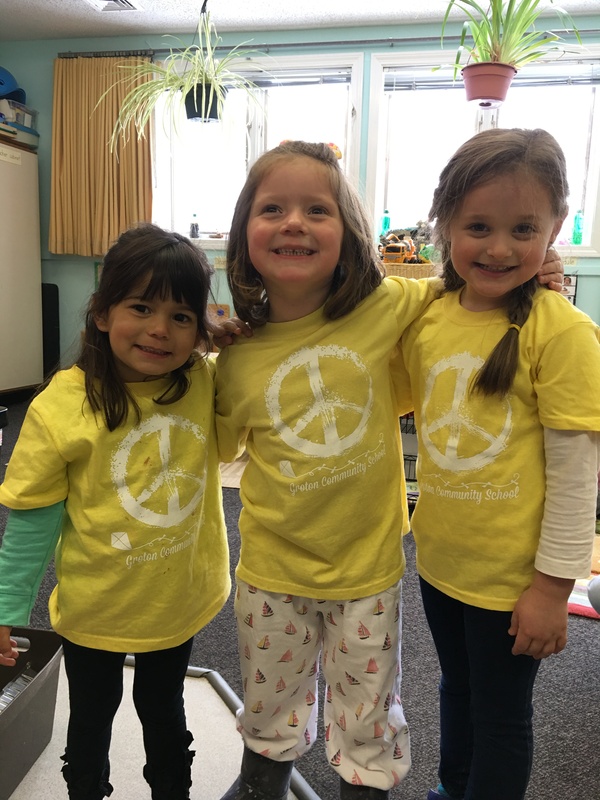 This entry was posted in Early Education, Expressing words and feelings, Giving thanks, Inspiration, Love, Peace, self esteem, Singing, Teaching young children and tagged Early Education, School spirit, self esteem, Singing. Bookmark the permalink. We never had pep rallies, but I still loved my school. Great to see you all having so much fun. Thanks, Pete. It was fun. Best to you. Thanks, Darlene. It was fun. School spirit is terrific! The school where I teach does this and it is so much fun. Each grade gets to scream and holler for the school and then our faculty gets to finish off. Sometimes our faculty can really get into it, so it can be very entertaining!! It’s such a great thing. Spirit, unity, and fun. The screaming and hollering is the best part. And children love to see their teachers so involved. Thank you! What a way to enter into the weekend! 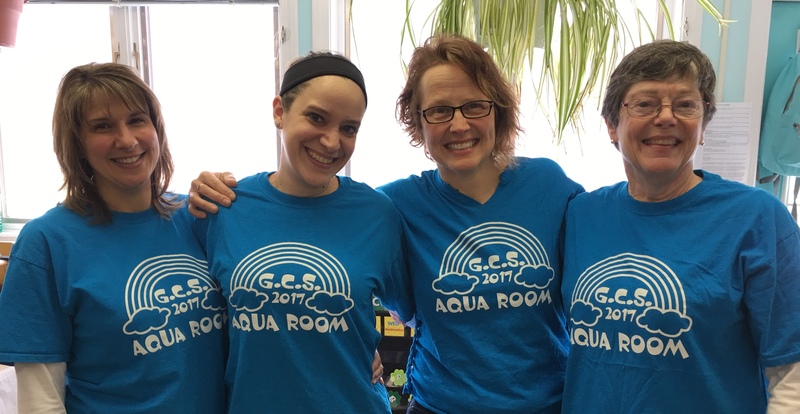 You and the aqua room gang look great! Thanks, Laura. It was a great end of the week event. Spirit rocks! It is a good pick me up! It certainly was! Thank you, Deborah. What a wonderful day you had! Yes, it was! Thank you, Charles. You are so right about school spirit, Jennie. This looks so much fun, Jennie. Children do enjoy chants. I can just imagine the fun everyone would have had celebrating your school. Thanks, Norah. It was truly fun for everyone. It sounds like a lot of fun, Jennie. It was great fun, Robbie. Yay for school spirit day!